As a rule of thumb, always eat what’s fresh in season. How delicious are pomegranates? Find the best pomegranates, or “fruit of the gods”, at local farmer’s markets through winter. I picked this one up at our local grocer, and made a delicious paleo pomegranate brownie recipe as a sweet holiday treat. First, peel the pomegranate. Be careful – pomegranate juice 100% leaves a stain on everything. Wash the fruit. On a plastic cutting board,chop the bottom 1/4 inch off. Carefully slice out the blossom top at a 45 degree angle with a paring knife. When you look at the pomegranate, you’ll see it’s not exactly round. Score the pomegranate down the side of each angle – there should be six of them. Peel out a giant fruit slice at each of these scorings to expose the fruity seeds inside. Pop the flesh inside out and use your fingers to carefully pry the fruit out. Be gentle – they bruise easily. Drop all of the fruit in a bowl of water. Any remaining flesh floats to the top of the water, and the fruit sinks to the bottom. 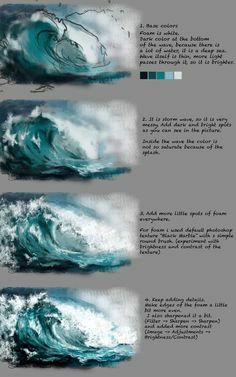 Skim off the flesh, then drain the water from the bowl. In a large mixing bowl, combine the coconut oil, sugar, cocoa powder and salt. Add the vanilla and eggs, stir to combine. Mix in the flour until smooth. Preheat oven to 350. Use coconut oil to grease the inside of a 8×8 baking dish. Pour in the batter, and smooth the top layer until the surface is even. Sprinkle on the pomegranate seeds and cacao nibs, and lightly press them into the top of the batter. Bake for 40 minutes. Check the middle for doneness by inserting a toothpick in the center. It should come out smooth. Sprinkle sea salt on top. Allow to cool, then serve immediately or store for later. Enjoy with friends! Guess what? This recipe uses a very small amount of the pomegranate you peeled. Enjoy them raw. Some people don’t like the seeds, but they don’t bother me at all. Looking for more adventure? You could also try one of the following delicious paleo pomegranate treats with the rest of the fruit. 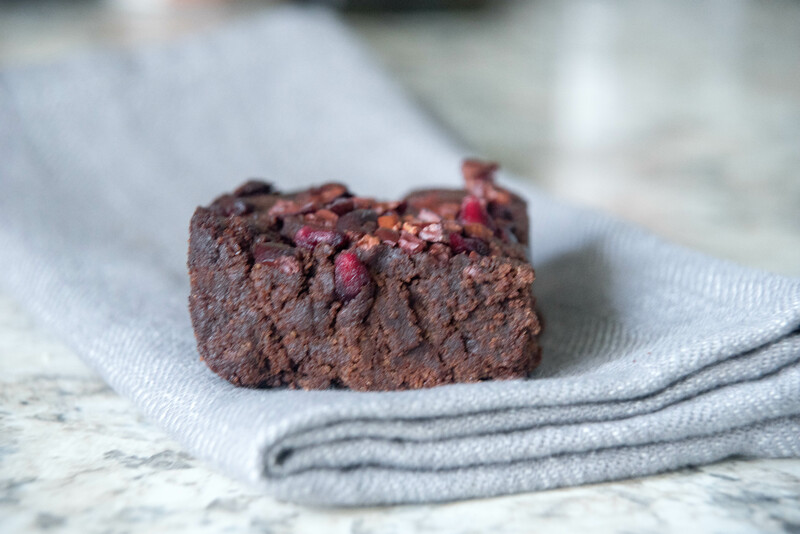 Pomegranate Brownies with Cacao Nibs + Sea Salt – my recipe was adapted from this one.